Figure 1. 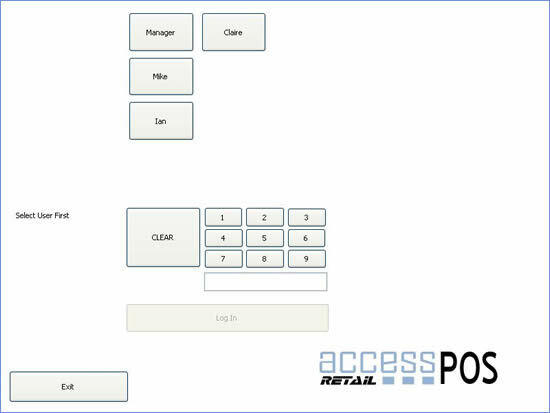 Main cashier Login Screen, up to 13 cashiers can be configured with pin login. The cashiers are all listed on the dynamic buttons. Figure 2. 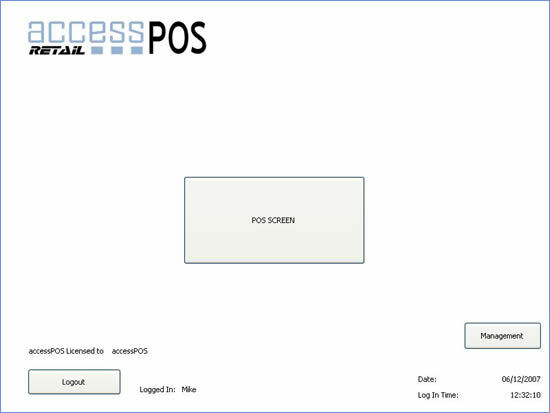 Main Menu, from this screen access to the management screen or to the main POS screen is given. Figure 3. 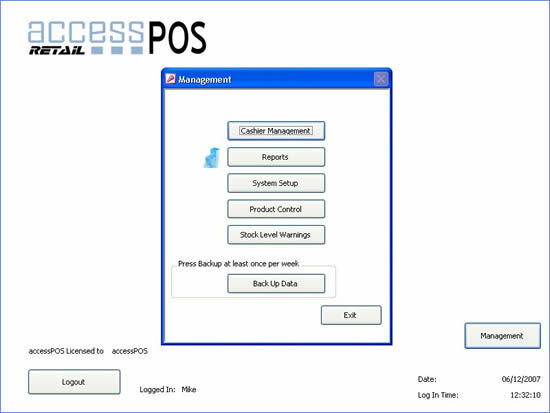 Main Management Menu, various system options are here including the option to backup all the data and product control. Figure 4. 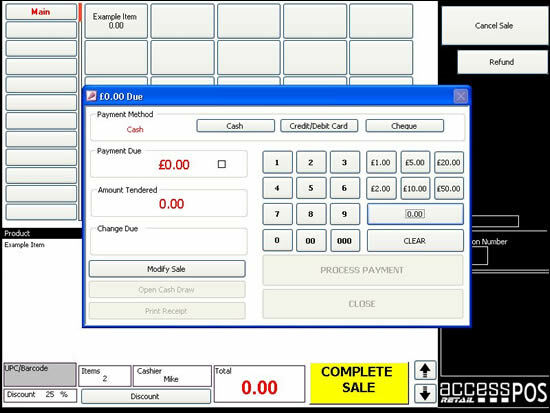 Settings Form, the system supports cashdraws, display poles and receipt printers and from here the system is setup. Figure 5. 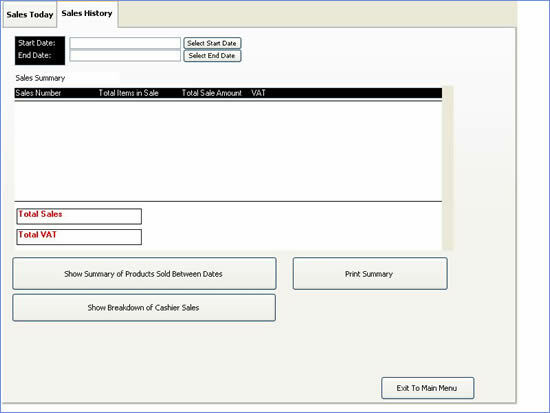 Historical reporting form, one of the reporting functions available. Figure 6. 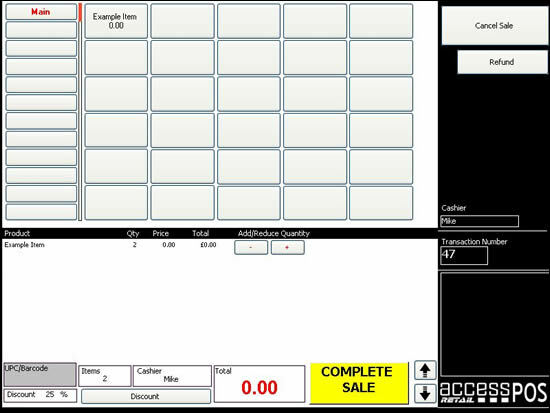 Main Point of sale screen, showing 13 dynamic category buttons with 30 dynamic product buttons, barcode product entry is also supported. Figure 7. 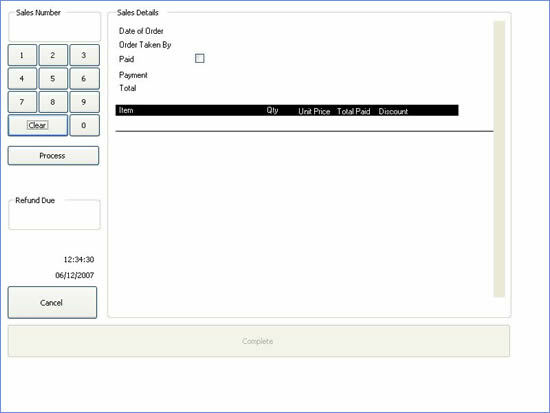 Customer payment screen, the checkout screen with payment is tendered. Figure 8. 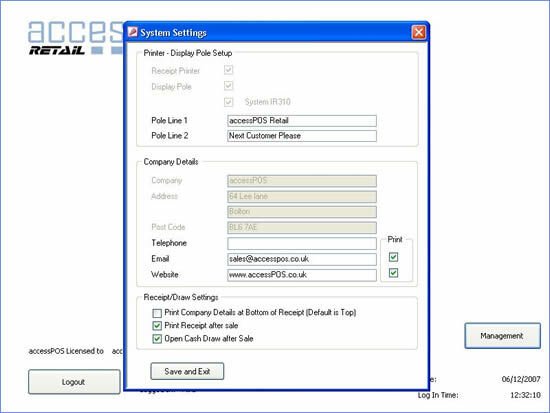 Refunds system, is based on a receipt number entry which is required to access the sale.